Zsa Zsa Gabor made movies and appeared on several different television programs during the heyday of her career, but really she was more of a personality than an actress. Her sharp wit and steady stream of bon mots made her a very popular guest on the talk-show circuit. 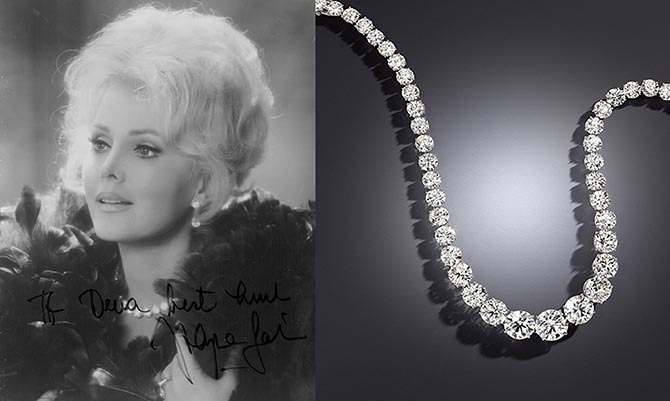 The star once said, “What is really important for a woman, you know, even more than being beautiful or intelligent, is to be entertaining.” Married nine times her humor often revolved around her love life and spectacular jewelry. One of the star’s most incredible diamond jewels is going on the auction block at Bonhams in New York on December 4, 2017. A diamond rivière made by Harry Winston in 1964. The piece is set with 45 graduated round brilliant-cut diamonds weighing a total of 66-carats. 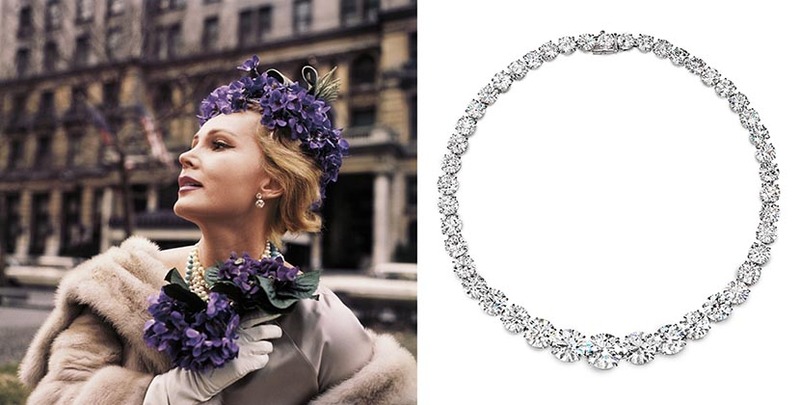 Each of the gems in the necklace would make for an impressive engagement ring. The five largest diamonds in the center part of the rivière weigh 8.07, 6.34, 6.33, 5.35 and 4.88 carats.